Our core knowhow is rapid prototyping, design and smart use of new manufacturing technologies. 3D modeling and scanning together with 3D printing opens up a lot of new possibilities to product development and production. Our own products are designed and developed with AM attitude. We are known of innovative use of 3D technology, digital manufacturing and design. Go3D is offering 3D printing services together with modeling and design services. Please take contact to get from an idea to prototype. 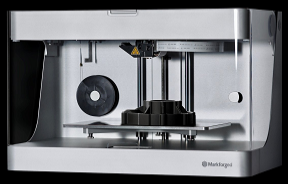 Go3D has purchased a new Markforged Mark two 3D printer. Machine is capable to print composite plastics with continuous fiber reinforcement. It is a professional level printer and will be used for own production as well as for customer projects. More information and case studies soon. Follow us on web, facebook, instagram. We are happy to inform that our new product will be launched in a couple of days. Please follow us on web and social media. Go3D Ltd. begins to manufacture 3D DESIGN KNIFE. Product is new worldwide. 3D Knife is engineered by Go3D CEO Antti Korpi. Sales will begin during the summer 2017. More information on page Go3D Products. 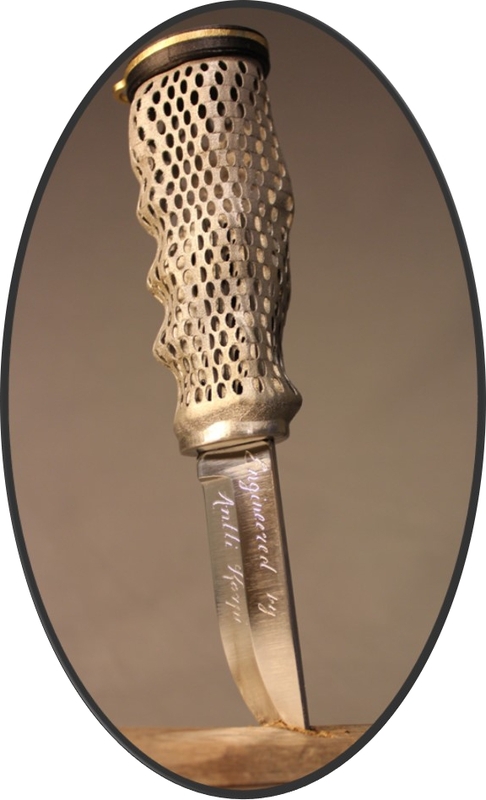 3D KNIFE won Finland 100 years - 3D printing contest! Contest application "Persanalized handle for knife" made by Antti Korpi (Go3D Oy -CEO) won Finland 100 years - 3D printing contest held by Finnish rapid prototyping association (FIRPA) together with 3D Nordic expo. Prize winner was announced at Expo 20.5.2017. More information about the the product on page Go3D Products. Go3d brings 3D printed accessories and spare parts to the largest in-water boat show in Finland. We will show our Flipper 670ST motor boat equipped with a large number of 3D printed accessories. Our 3D engineered products available at stand. 3D knife and new innovative mooring accessories for boating. Subcontracting trade fair 2017 is the most important expo for manufacturing industry in Finland year 2017. 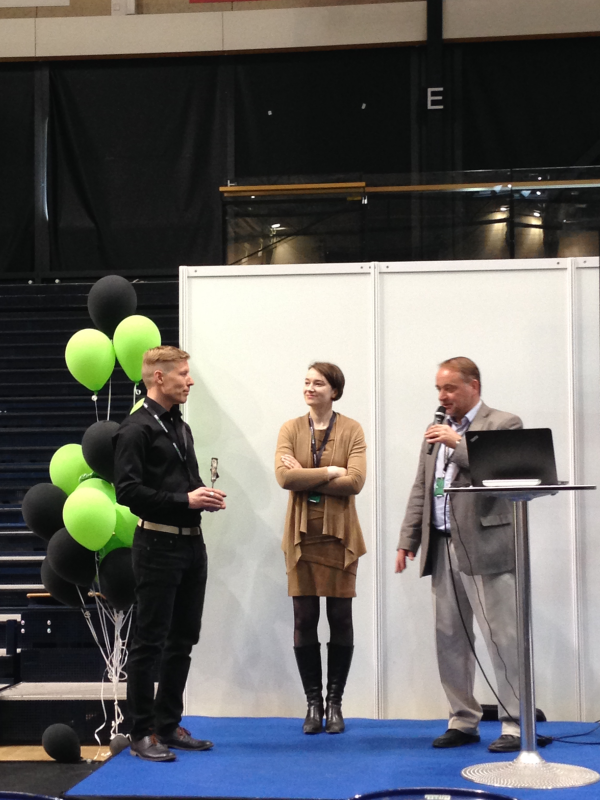 Antti Korpi, founder and CEO of Go3D limited company is having presentation at expo about following topic. NEW FEATURES TO PRODUCTS WITH 3D PRINTING. At the same time Go3D is presenting THE METHOD TO PRODUCE PERSONALIZED HANDLES WITH 3D PRINTING. In practice this means that the print of individual´s hand at desired orientation is scanned and it´s form is printed on the handle. The time required for preparing a print ready file of personalized hande is about 30 minutes. This means tested materials and tools for aquiring hand print, equipment and machines (scanners, tools, jigs, mountings), and proven workflow with 3D software. The handles are manufactured with 3D printing. Materials can vary from polymers to metals. Personalized handles manufactured with 3D printing are having ultimate features not achievable by any conventional manufacturing methods. Ergonomics, ultimate grip without compromise, light-weight, safety etc. Go3D is using the method at it´s own product 3D KNIFE. We are looking for new product applications for this method. Please feel free to contact.